I have been feeling so bloated this week, so I decided to make today a detox day. When I detox I like to make yummy smoothies that are both nutritious and filling. That way I can focus on cleansing my system and not feel hungry and “snacky” during the process. The main ingredient in my smoothies today will be “green plants”. Green plants contain chlorophyll which give your digestive system a boost and helps rid the body of harmful environmental toxins as well as cleaning out the liver. You can detox by having a salad, or using a juicer as well. But I love that smoothies are fast and I also know that they work with my body. A couple other things I will be adding today to help make it a successful detox is detox tea, water, a few workouts and one of my own “sassy” waters! You can also add Chia seeds to your smoothies or to your detox day. Chia seeds are amazing and have so many great health benefits. Chia seeds have a gelatinous texture which helps detox and digest. As well as the fact that they expand when moist which help create that extra full feeling! zico pure coconut water 24 oz. Flushing my digestive system is the biggest part of my detoxing. And the best way I know to help my body flush out all those toxins is through drinking liquids. 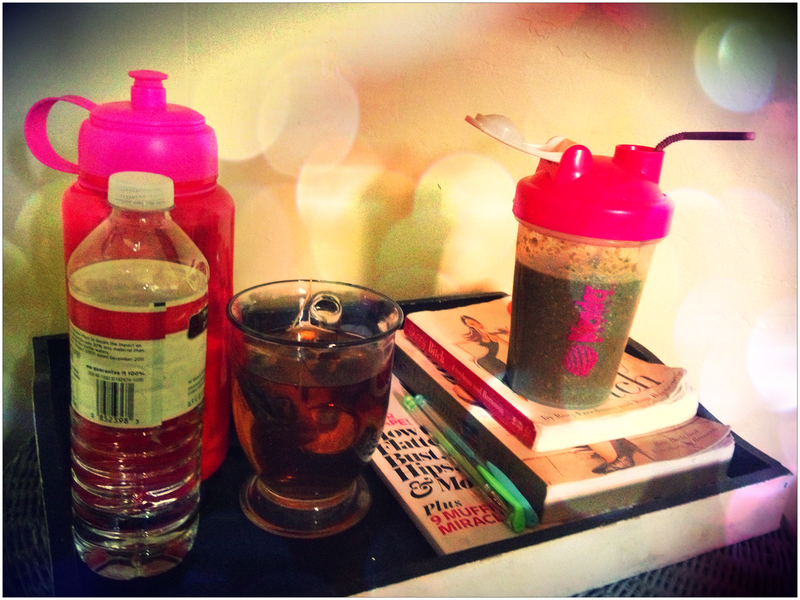 So I love creating new fun “sassy” waters that will not only keep me hydrated but the more liquid the better my detox. Now there are cleanses and detox’s that can last days, weeks and even months. But this is a mild day detox just to give my week that extra push to achieve my goals. Keep in mind that some of those cleanses and detox’s you wouldn’t really add physical activity too. But that is why I love my detox because I can still get a great workout in with it, I even consider it a crucial part of my flush! Yoga is one of my favorite detoxing workout’s!! !